Blending the look of vintage industrial with modern design is the Factory Collection. 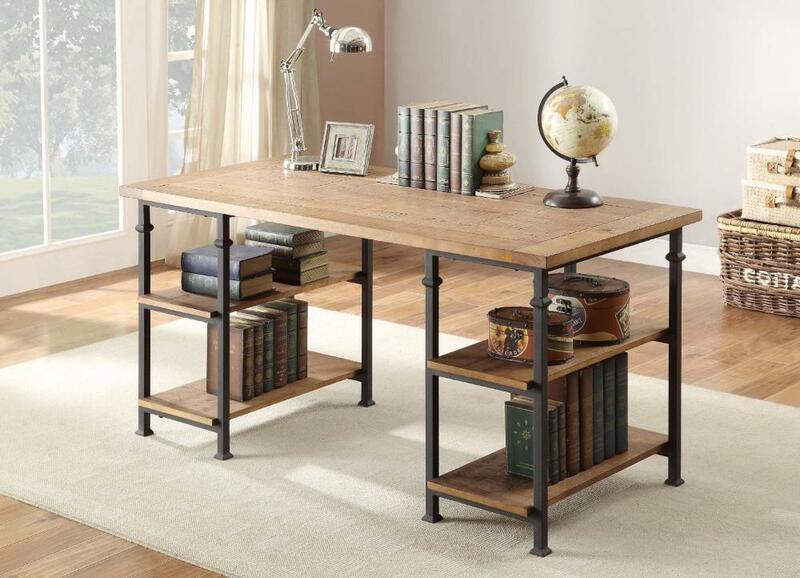 Burnished rustic wood planks make up the desk top and features wrought iron style metal framing that supports both the top and the wooden display shelves. The continuous finished design makes this unit flexible for placement as a freestanding piece. A matching bookcase is also available. 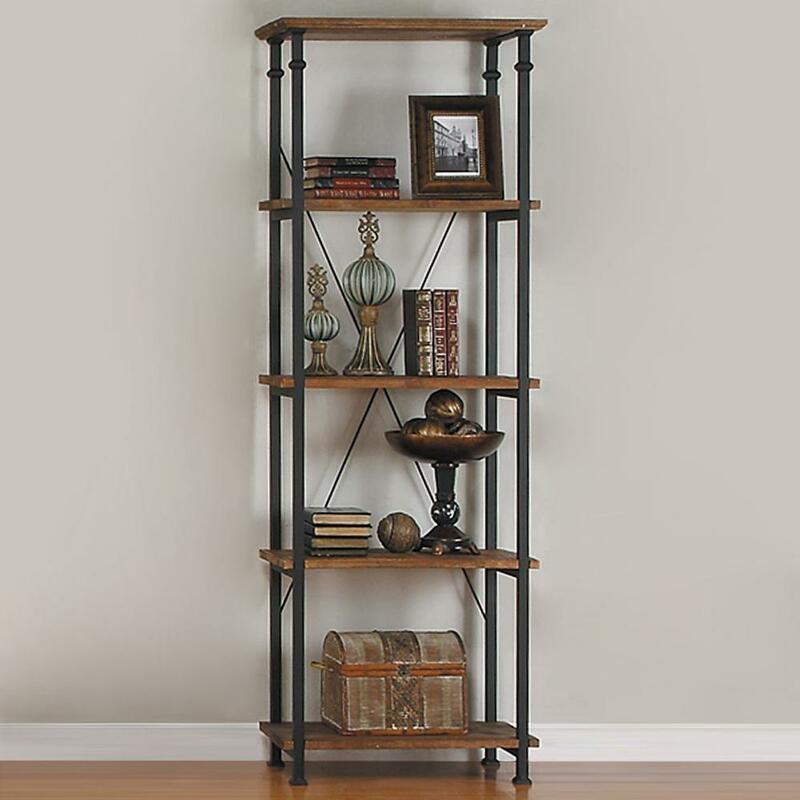 FEATURES: Rustic Oak Finish ~ Industrial / Transitional Style ~ Wood Display Shelves ~ Dark Brown Metal Frame.